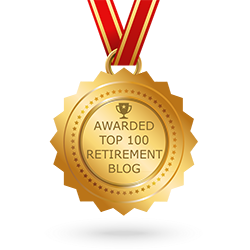 When it comes to investing in your retirement there is so very much to think about. This is because there are multiple ways to invest and it is rarely a simple matter of figuring out which option best fits your finances and lifestyle. There are so many different ways that it can get confusing as to which one to choose. 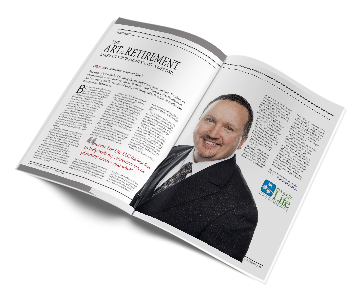 One option for retirement investment is an annuity. An annuity is a contractual agreement with an investment company and an insurance company made up of a series of payments into an investment like a mortgage, a savings account or a pension plan. With each paycheck, you earn a portion of money that will be invested on either a monthly, quarterly or yearly basis. These deposits of money into an annuity fund go towards supporting your expenses in retirement. The way you choose to invest should be tailored to your lifestyle and an annuity can do just that for you. Here are a few different types of annuities to choose from that may best suit your retirement needs. Variable Annuity- variable annuities are great for someone who’s invested in mutual funds. A variable annuity is a contract with an insurance company for a certain amount of time except your investments into the variable annuity get allocated to different mutual funds of your choosing. One of the biggest benefits from a variable annuity is tax deferral. You don’t have to pay any taxes until you’ve withdrawn your funds. A variable annuity is great for those who do not have any beneficiaries; as well as those who like to buy and sell mutual funds frequently. If you’re someone who is currently in a high tax bracket, but plan on being in a lower tax bracket during retirement, a variable annuity will also serve you well. Immediate Annuity- An immediate annuity is a type of annuity where your payments that you make into it are made at the end of the payment period. This means that the interest will accumulate before the payment is made. An example of an immediate annuity is a mortgage. This is very similar to a life insurance policy where you make a lump sum payment and they pay you out with regular income payments until you die. This also benefits those in a high tax bracket at the time of their investment, but will be in a lower tax bracket in retirement. This is because taxes are deferred. These are just two types of annuity investments you can make for your retirement. There are benefits to both types but choosing the right type for you means creating a retirement portfolio in which your expenses are thoroughly documented so a financial planner can help you best prepare for your life in retirement. Just as you invest money into your future you should invest time into finding the best financial retirement plan for you. Whether you invest in mutual funds or want to start seeing your payments immediately, call us, local area’s Top Rated Local® Financial planners about your future retirement plan today.